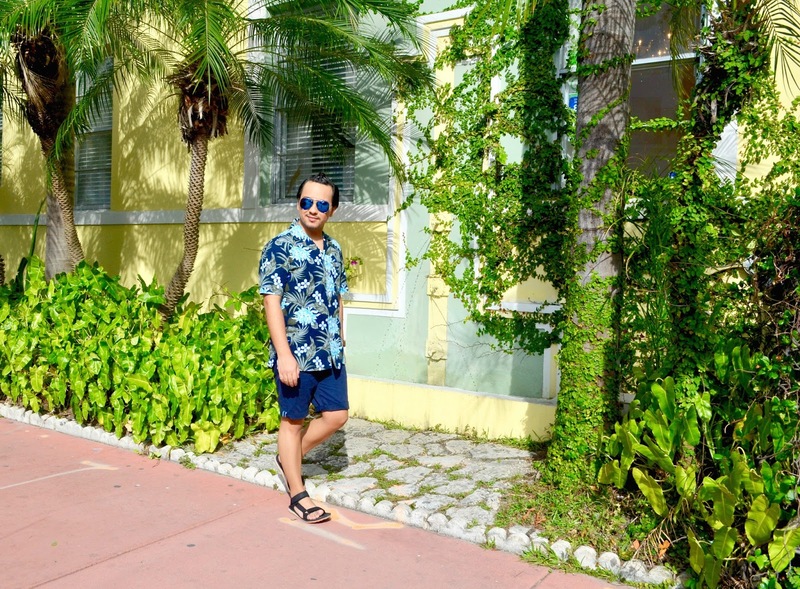 Nature beauty in Miami Beach! 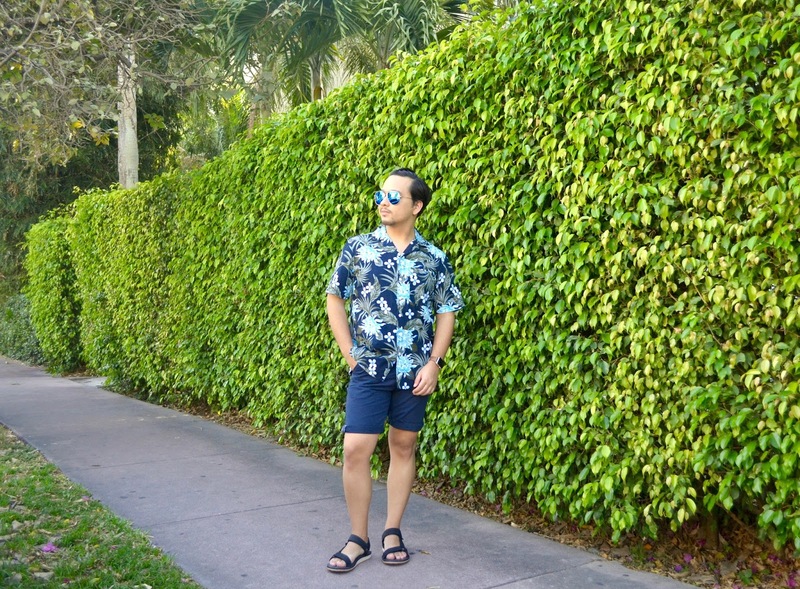 When I first got to Miami Beach, of the first things I noticed, were the amazing green landscape around the neighborhood. 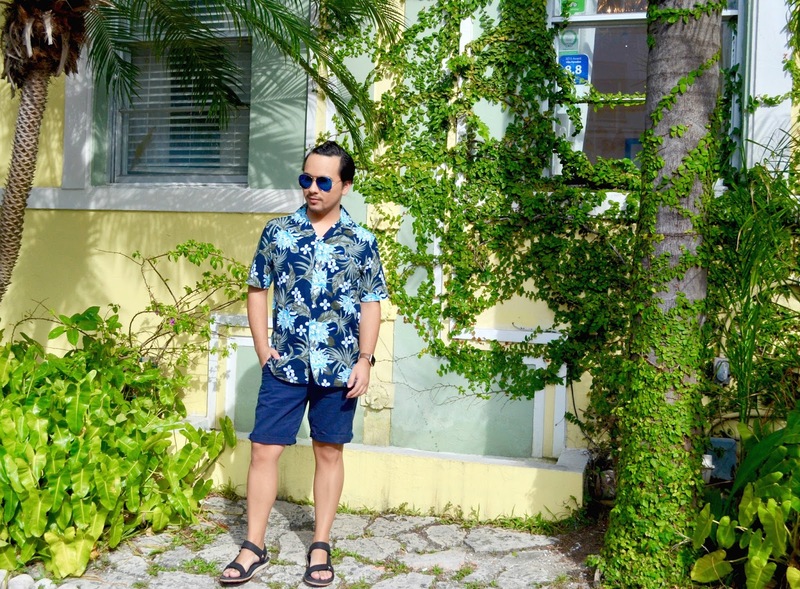 Thanks to beautiful green pants and trees all over, it made me excited for a new outfit look editorial inspired by the green landscape of Miami Beach. 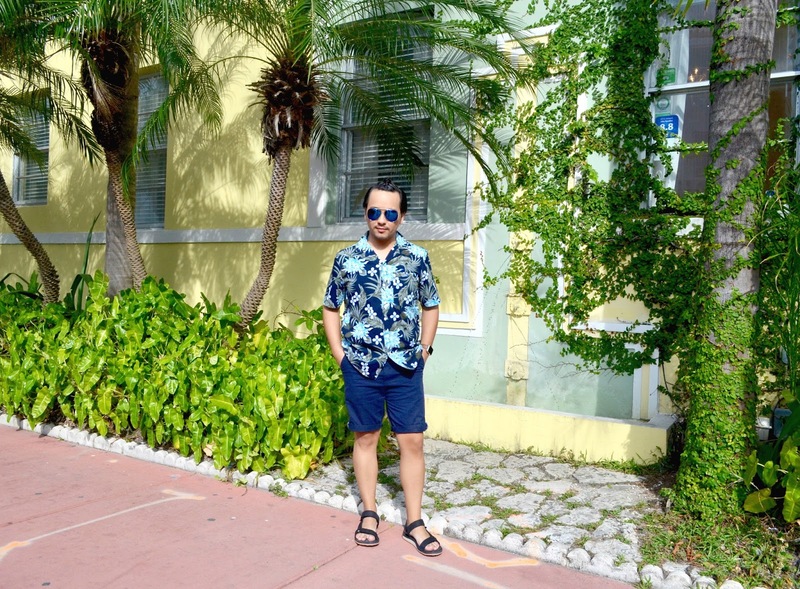 Before traveling to Miami Beach, I went a little last minute shopping. 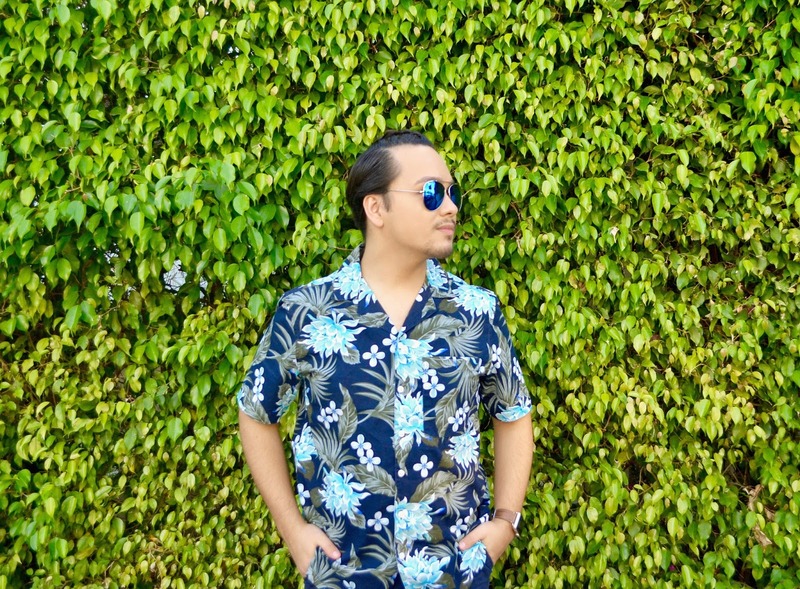 While looking around, I found this amazing blue floral shirt, which I felt in love with at the moment I saw it. 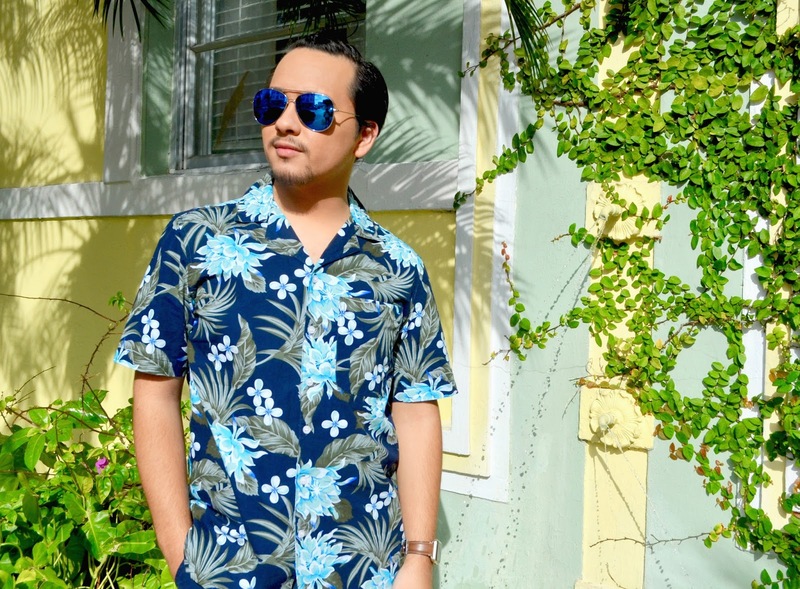 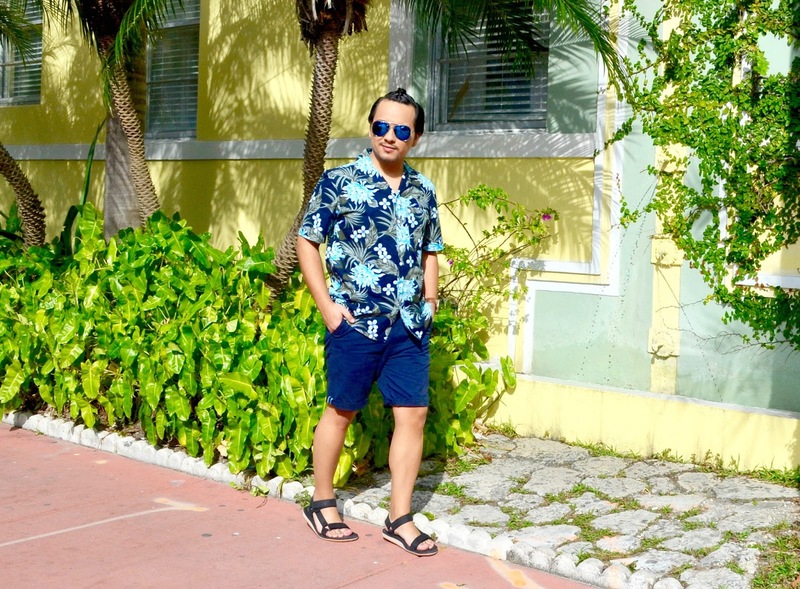 Back in Miami Beach, when I got the crazy idea of doing an outfit editorial inspired by the beauty of Miami's green landscape, this shirt came right from heaven. 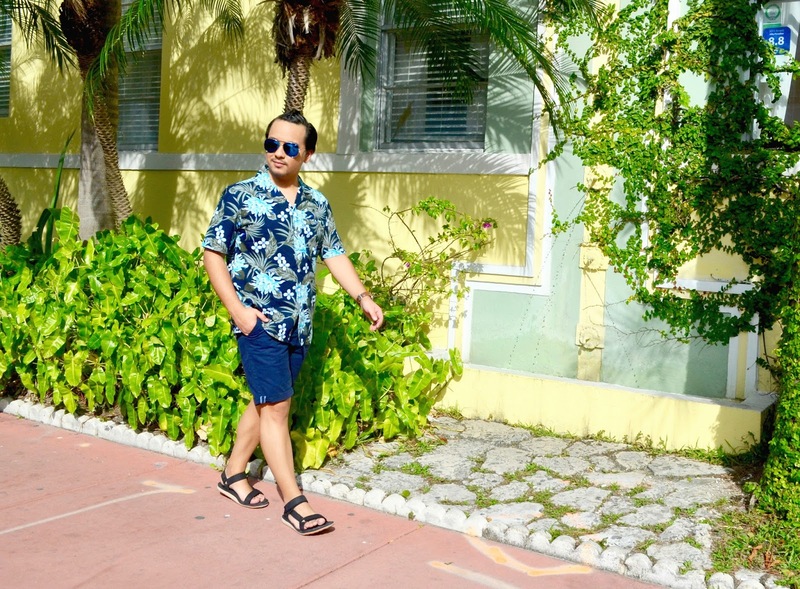 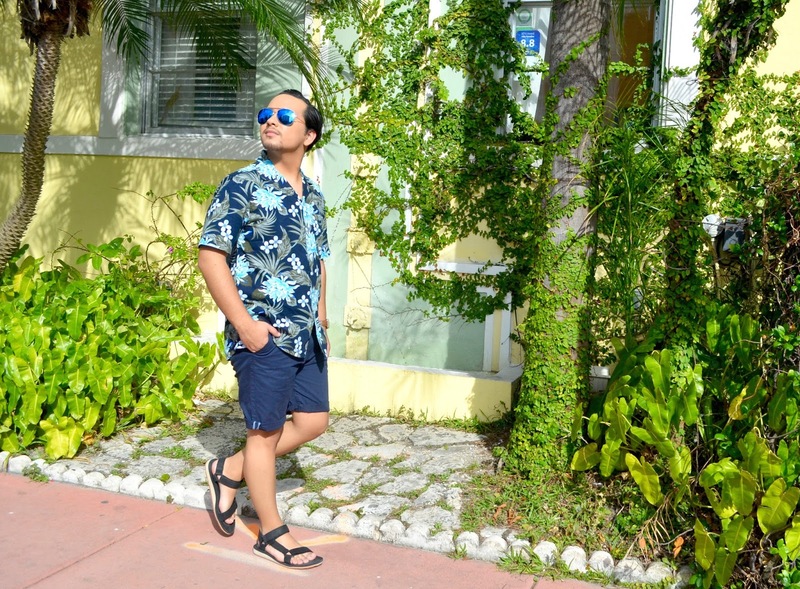 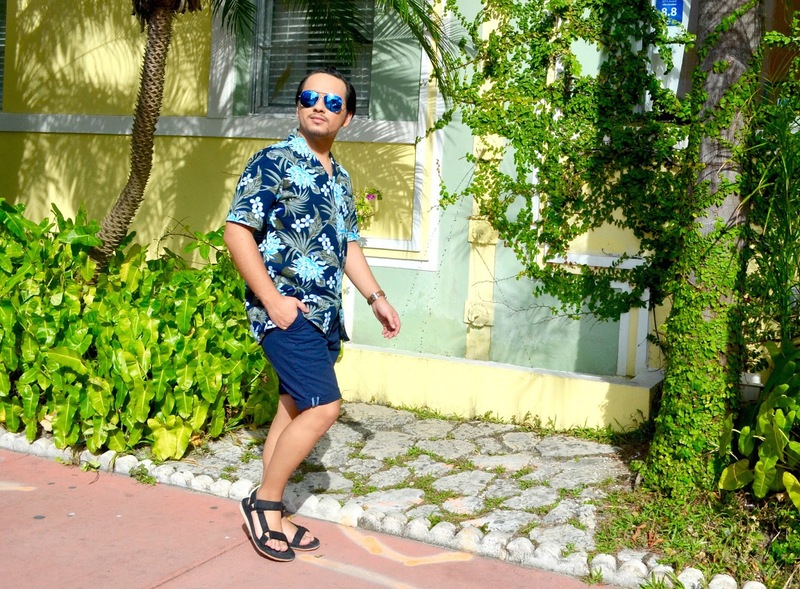 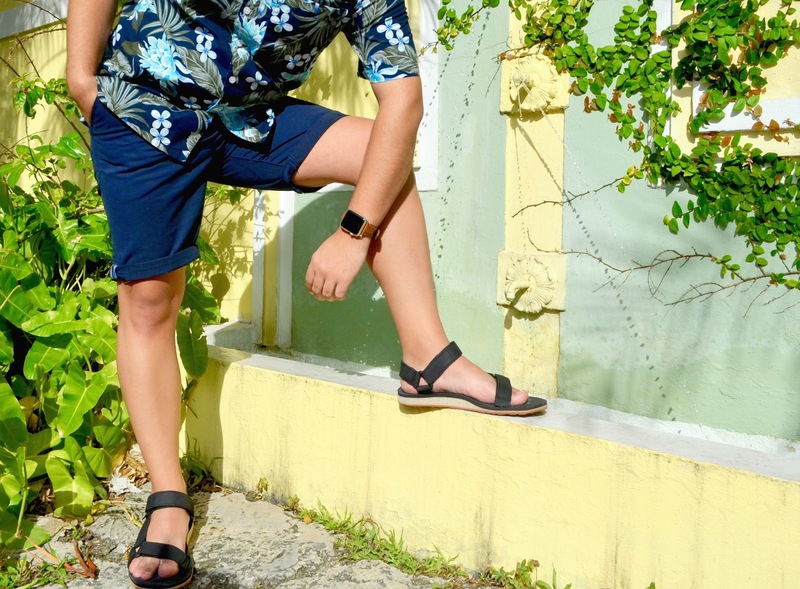 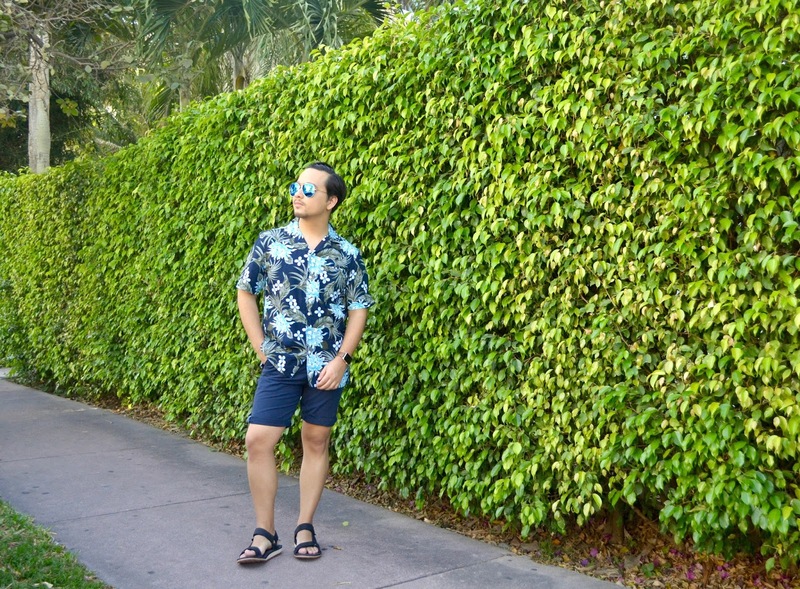 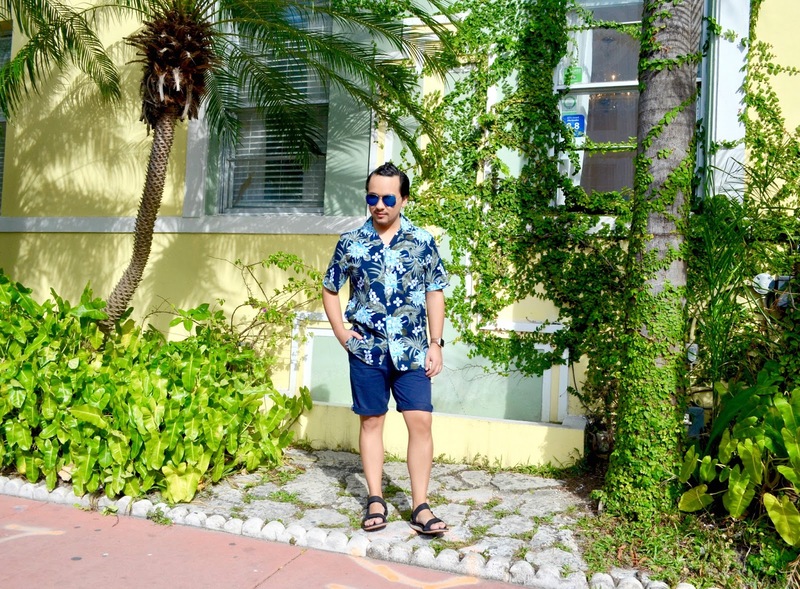 I paired this shirt with a classic pair of navy blue shorts and a pair of Teva's sandals, which are so comfortable to walk with, specially if you're planning in doing a lot of walking, like I did. 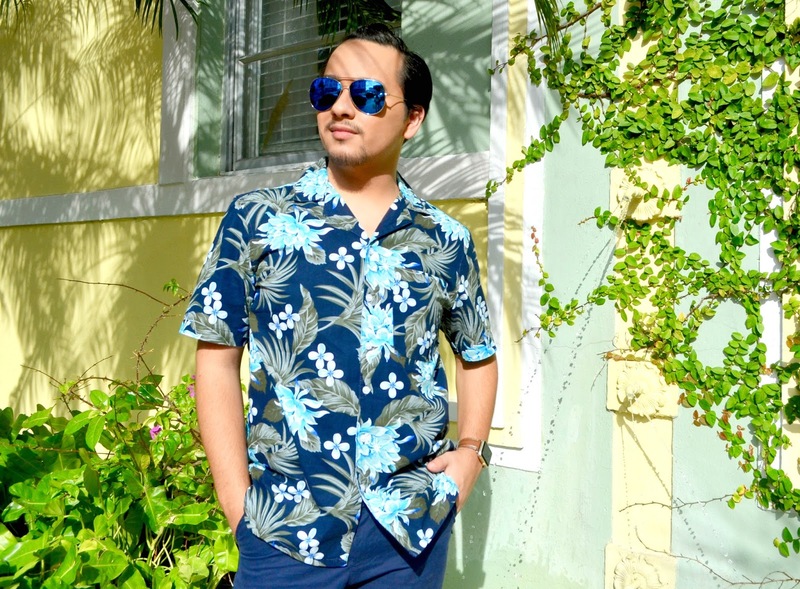 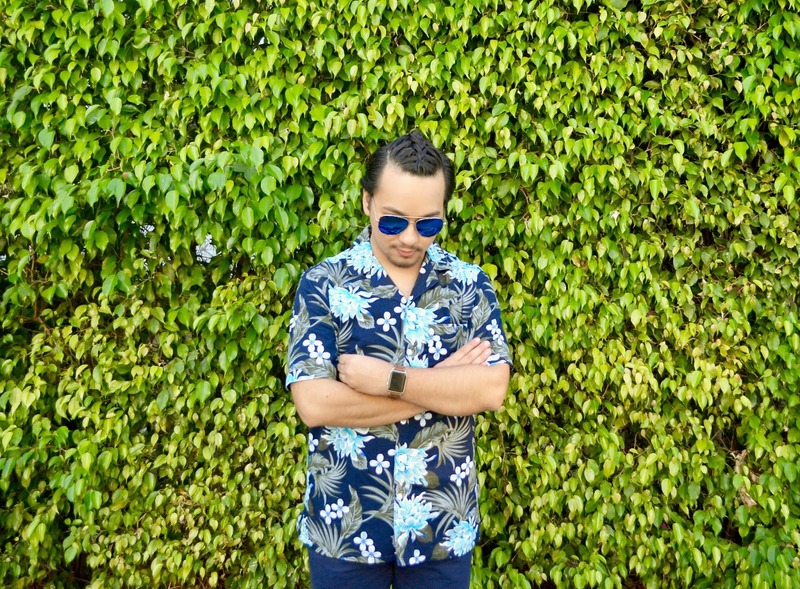 Like I usually say, during a sunny day, you can't never leave the house without a good pair of sunglasses, and for this look I paired my brand new, custom blue shade sunglasses from Zenni Optical. 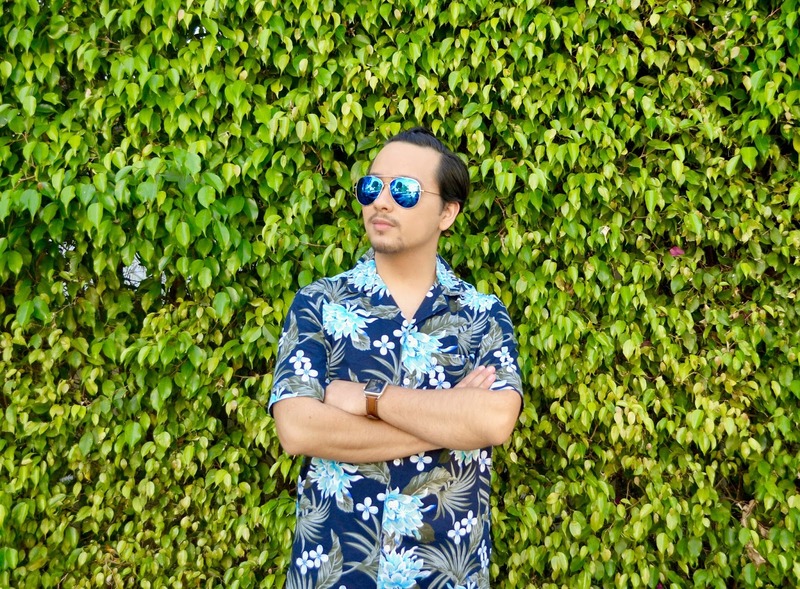 There's nothing I love more, than having a connection with nature, and being in places where nature is being preserved, makes me happy and makes me enjoy the beauty of nature more and life in general. 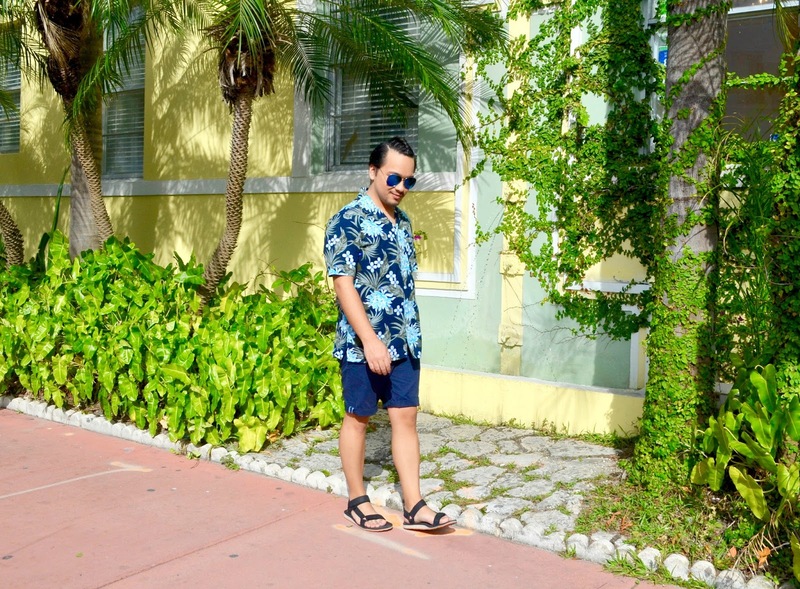 That's all for today, hope everyone enjoy this outfit look editorial and I'll see you all in my next post!